This week your due date falls but there is little chance you will delivery exactly on the due date, although this date remains somehow “magical”. Although you may not have delivered you remain alert to everything you feel. Will it happen now? Whether you deliver before or after your due date it will remain a “magical” date for a long time. Many women remember for years what their due date was. 40 weeks pregnant – how is your baby growing? Your baby is now approximately 49.5 centimetres long and weighs about 3350 grams. Most of the vernix (skin lubricator) is now gone. 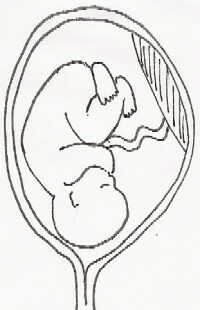 Just a thin layer remains to ease the baby along the birth canal. When you hold your baby for the first time you will notice he is somewhat slippery. The midwife or nurse will clean your baby by wiping with a soft cloth which will remove most of the vernix. Your pregnancy week to week and the growth of your baby.